Unruly Heroes (Magic Design Studios, €19.99 / £17.99) - The sacred scroll preserving harmony in our world has been torn up and scattered to the winds. Now, strange and terrifying creatures are sowing discord and chaos throughout the land. 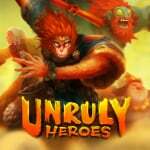 Inspired by the famous Chinese novel "Journey to the West," Unruly Heroes tells the adventure of four totally opposed, implausible heroes who must collect all the scroll fragments and travel to fantastical worlds to restore balance... or die trying! 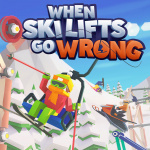 When Ski Lifts Go Wrong (Curve Digital, €14.99 / £14.99) - It’s time to get carried away with the deliriously fun physics-based construction puzzler packed full of creative challenges, sports and bloody disasters! In When Ski Lifts Go Wrong, you start in the rolling foothills and journey up to the jagged and exposed peaks. Puzzle over carefully designed scenarios to help every passenger reach their destination. 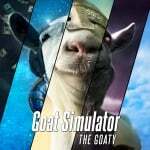 Goat Simulator: The GOATY (Coffee Stain, €29.99 / £26.99) - Goat Simulator is all about causing as much destruction as you possibly can as a goat. It has been compared to an old-school skating game, except instead of being a skater, you're a goat, and instead of doing tricks, you wreck stuff. Destroy things with style and you'll earn even more points! Game contains: Goat Simulator, Goat MMO Simulator, Goat Simulator: GoatZ, Goat Simulator: Payday and Goat Simulator: Waste of Space. IHUGU (Kool2Play, €3.99 / £3.59) - The rules are refreshingly simple and designed to promote peace and positivity – hug everyone, but only once! This is a fun memory game where quick thinking and the ability to remember who you have hugged and who you haven’t are the keys to success. The gameplay is casual, but also provides a challenge to anyone set on mastering their score. Magic Nations (PrimeBit Games, €3.00 / £2.69) - Jump into the fantasy world of the Magic Nations card battle game. Grab your card deck and fight your opponents from all over the world. This is a strategy card game where you constantly must adapt to battlefield conditions. 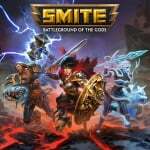 Collect new, powerful units, expand your deck with unique characters, buy and sell your cards! Magic Nations is a card game which features the deployment of its troops in two rows and subsequent moves with its units until the opponent has no moves available or cards left! 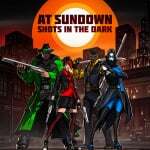 At Sundown: Shots In The Dark (Versus Evil, €15.99 / £14.39) - At Sundown: Shots In The Dark is stealth driven, top-down multiplayer shooter in which up to 4 players compete in both online and local deathmatch. With a variety of cool weapons to take each other out with and multiple maps across 6 different zones, only the BEST will dominate each round and survive the ultimate challenge to rise to the top at sundown! FutureGrind (Milkbag Games, €16.99 / £15.29) - Grab your bike and hit the rails in FutureGrind, a stylish stunt-racer all about tricks, skill, and speed. Use your futuristic bike to chain together huge combos on tracks made of floating rails, but watch out: touch the wrong colour and you'll explode instantly! Keep your sponsors happy and you'll find yourself earning new bikes and racing mind-bending tracks built for the pros. #KILLALLZOMBIES (Beatshapers, €13.99 / £12.59) - In the distant future, #killallzombies is thrusting civilians into a sport of survival were a ravenous zombie population is unleashed in the name of sports entertainment. Achtung! Cthulhu Tactics (Ripstone Publishing, €24.99 / £19.99) - Led by Eric ‘Badger’ Harris, your team of allied warriors must battle behind enemy lines in the midst of World War II. Outmanned, outgunned, and up against an evil of mythic proportions, the battle has only just begun. Arcade Archives BOMB JACK (HAMSTER, €6.99 / £6.29) - 'BOMB JACK' is an action game that was released by Tehkan (Koei Tecmo Games) in 1984. Players control 'Jack', a superhero who can leap and glide, to collect all bombs in game stages. By retrieving the ignited bombs first, you can earn bonus points and fill up your Power gauge. Akihabara CRASH! 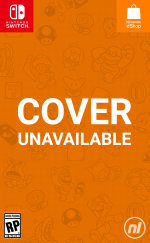 123STAGE+1 + Full Complete Set (DORASU, €13.79 / £12.39) - Includes Main Title + DLC 1-4. Asdivine Hearts II (KEMCO, €12.99 / £11.69) - Picking up two years after the events of their first adventure, Zack and friends find themselves off on another quest, but this time to save the parallel world of Archelio, which is on the verge of being frozen in ice. With a convenient summary of the previous title included, players can jump right into Asdivine Hearts II without having played the first! Sleep Tight (We are Fuzzy, €12.99 / £11.54) - This unique twin-stick shooter, base-builder hybrid comes wrapped in blankets of nostalgia! Construct your strongest pillow fort during the day and defend your bedroom from endless hordes of monsters each night. 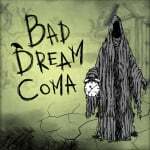 Bad Dream: Coma (Forever Entertainment, €9.99 / £8.99) - The game is designed in the "action-reaction" way and there are no obvious choices. Beat the game once and then be curious "What if I would do it differently". Sometimes it's not so obvious but from time to time you'll see huge differences. The smallest things can be the most rewarding. Balance Blox (EntwicklerX, €2.99 / £2.69) - In this game, you have to drop blocks on the balance. Blocks affect the balance according to their distance from the bottom triangle. Match three blocks of the same colour vertically or horizontally to remove them from the playfield. Every block has its own weight, so let them fall wisely. Doodle God: Evolution (JoyBits, €6.99 / £6.29) - And now, in this addicting all ages game, not only fire, earth, water and air but also plankton, mammals or birds will be at your disposal. Mix and match different combinations of elements to build an entire civilization and re-create the evolution of the animal world! Of course, the universe was not created in a day, a long journey full of joy and creative torments awaits you. Fishing Universe Simulator (Forever Entertainment, €9.99 / £8.99) - Fishing Universe Simulator is a comprehensive fishing simulator which allows using various techniques, in different places around the world! If you are bored of waiting for fish to take and falling asleep in front of the console, this means that you have played a bad game! In the Fishing Universe Simulator, this will never happen. Select the appropriate equipment and bait, cast your line and wait for a bite. Success is guaranteed! Forgotten Tales - Day of the Dead (Joindots, €14.99 / £12.99) - There is an old legend in Mexico that on “Dia de los Muertos” the Day of the Dead, the gates of heaven will open and the souls of our loved ones can visit the land of the living. 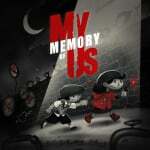 That’s where the story of Manuel and Maria begins. 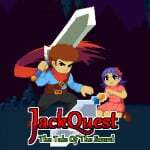 JackQuest: The Tale of the Sword (Blowfish Studios, €9.99 / £8.99) - One fateful night, when young Jack takes the beautiful Nara for a walk in the woods, his love is kidnapped by the villainous orc Korg. Forced to mount a rescue, Jack plunges into Korg’s underground base, where he happens upon a strange blade that becomes an unlikely ally. Johnny Turbos Arcade Joe and Mac Caveman Ninja (FTE Games, €7.99 / £7.07) - Grab your club and get ready to go on a wild, prehistoric adventure with the Cavemen Ninjas - Joe & Mac! Help Joe and Mac, two cavemen who fight against enemy cavemen and dinosaurs using prehistoric weapons. Monkey Wall (COSEN, €3.99 / £3.59) - In this martial arts action/puzzle game, select a character as your avatar and start the rigorous training regime. The player selects from four characters, each with four different costumes to choose from, and proceeds down the training path. Perry Pig Jump (EntwicklerX, €2.99 / £2.69) - Meet Perry Pig – a friendly little piggy. 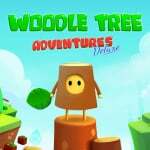 Help him to jump into the sky and play a fantastic adventure with him. Jump high and higher, collect stars and diamonds for Special Items and upgrades. For a happy jump, you can wear clothes and accessories to dress up Perry pig as you like. 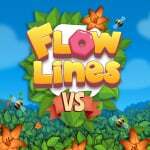 Flowlines VS (Baltoro Games, €4.99 / £4.49) - Pair up all the matching sockets on the board by drawing continuous lines, without crossing over other lines or branching off. Cover the entire board while connecting all of the sockets! Keep an eye out on time-limited stages, or on the limit on moves you can make per stage! 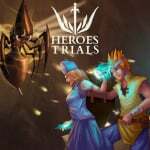 Heroes Trials (Ratalaika Games, €4.79 / £4.79) - After the banishing of the previous defender of your island, the community needs new heroes. The long training of siblings Elia and Zoel takes them to the last trials deciding who is the best fit to become the new local guardians. In the finals, they will have to compete against a sleazy couple and the clock to prove their worth. Rising to the top will not be an easy feat! 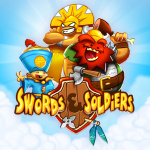 Swords & Soldiers (Two Tribes Publishing, €4.94 / £4.48) - Prepare for war on Swords & Soldiers’ side-scrolling battlefields. 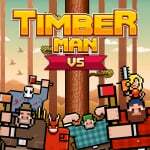 Build your forces, engage in a tug-of-war for gold and energy, and defeat your foes with a huge grin on your face! Pick from 4 totally different factions: the brutal Vikings, devious Aztecs, crafty Chinese, as well as Chief Meat’s army. Each faction has its own reason to go to battle and its own campaign to play, adding up to many hours of side-splitting action-strategy. Zombie Panic in Wonderland DX (Akaoni Studio, €4.94 / £4.44) - Free Wonderland from the loving zombies plague! The world of fairy tales has been overrun by a plague of bizarre zombies that wander along surrounded by a lovely yet pungent smell. Back to his hometown after a long time, Momotaro (from the Japanese tale "The Peach Boy") encounters these pests and finds himself forced to solve the issue. 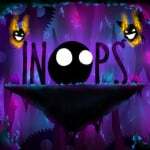 Inops (ZRZStudio, €9.99 / £9.99) - Dive into the wondrous world of Inops! 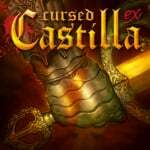 The 2D puzzle based side-scrolling adventure of dark and light. Battle the fire breathing demons and rescue the scattered Inops. Venture Towns Demo (Kairosoft, Free) - Assume the reins of a mega-conglomerate to build your very own metropolitan utopia! Stores, houses, mansions--towers! The sky's the limit as you fashion your humble burg into the world's most powerful fiscal force! Place compatible structures near each other to craft speciality districts or "combos," adding flavour to your town while reaping big bonuses and boosting Land Price! Wargroove (Chucklefish, €16.99 / £15.99, pre-order from 23/01/2019) - Take to the battlefield with Wargroove, a turn-based strategy game for up to 4 players! Choose your Commander and wage war on battling factions, using your ‘groove’ to strategically sway the fight in your favour! Thea: The Awakening (Monster Couch, €16.19 / £14.39for owners of Die for Valhalla!, Steamburg, pre-order from 22/01/2019) - Thea: The Awakening is a turn-based strategic survival game steeped in Slavic myth and monstrosity set after an apocalyptic force known only as The Darkness has engulfed the world. There are Strigas and Baba Yagas aplenty, but there are no heroes, no monster slayers, and no great armies capable of banishing them. You have only a few hopeless and starving survivors who are desperately trying to stay alive. You are their last and only true hope! LOVE (Mokuzai Studio, €2.60 / £2.29, pre-order from 23/01/2019) - LOVE is a reductive platforming game with a retro aesthetic and a focus on a challenging difficulty. It has a custom respawn system, 16 levels, 12 track soundtrack, competitive scoring, and a simple-to-use level creation feature. The challenging levels are balanced with the inclusion of a simple yet unique respawn system wherein the player can leave a checkpoint at any location at any point, as long as they are on solid ground. RIOT - Civil Unrest (Merge Games, €16.99 / £12.74, pre-order from 24/01/2019) - RIOT – Civil Unrest is a real-time riot simulator that places the player right in the heart of some of the world’s most fractious clashes. Campaigns include: Indignados (Spain), Arab Spring (Egypt), Keratea (Greece) and NoTAV (Italy). Seventeen single level scenarios include Rome, Oakland, Paris, London and Ukraine. 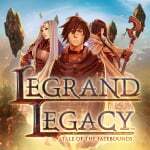 Evoland Legendary Edition (Shiro Games, €19.99 / £17.99, pre-order from 24/01/2019) - Evoland is a journey through the history of action/adventure gaming, allowing you to unlock new technologies, gameplay systems and graphics upgrades as you progress through the game. Inspired by many cult series that have left their mark in the RPG video gaming culture, Evoland takes you from monochrome to full 3D graphics and from active time battles to real time boss fights, all with plenty of humour and references to many classic games. Fishing Star World Tour (WFS, €24.99 / £22.49, pre-order from 24/01/2019) - Over 180 kinds of fish! More than 70 types of fishing gear! 40 fishing locations! Explore various locations and see a lot of fish! Catch a big one by changing your equipment to match the fish and setting! Fish that are caught are recorded in the “Fish Book”. Become an angling master! Gabbuchi ( h.a.n.d, €3.49 / £3.14, pre-order from 24/01/2019) - "Gabbuchi" is a curious creature that loves gobbling blocks and stuff. His favourite food is the heart cookie. In order to get it, you have to think about which blocks he can and can't gobble. He can gobble blocks the same colour as himself. You can change his colour, too, so he can gobble different coloured blocks. Johnny Turbo's Arcade: Two Crude Dudes (FTE Games, €7.99 / £7.10, pre-order from 24/01/2019) - Play one or two mercenaries hired by the American government to stop the terrorist organization "Big Valley". Take control of post-apocalyptic New York City away from the Big Valley terrorists. Necrosphere Deluxe (UNTIES, €7.99 / £6.49, pre-order from 24/01/2019) - Necrosphere is where you go when you die, regardless of being good or bad. You don’t see other people around there. You don’t have anything to do, except waiting for eternity As soon as Agent Terry Cooper hits the Necrosphere, he learns about the portals that can take him back to the world of the living (also called Normalsphere), and his quest to escape the afterlife is set. The Path of Motus (Michael Hicks, €10.19 / £9.17, pre-order from 24/01/2019) - Will you let other people stop you from pursuing your dreams? For generations, a village of goblins has been trapped inside a mysterious forest; anyone who attempts to leave returns hopeless and defeated. Determined to break new ground, a young goblin named Motus plans to build a series of bridges through the forest. Xenon Racer (Soedesco, €44.99 / £40.49, pre-order from 25/01/2019) - In the near future, the official racing federation has ordered a seasons pause from racing, to allow teams to ease into the transition to flying vehicles. To bridge this gap, top hybrid car manufacturers host a rogue championship for rookie drivers on the streets of cities worldwide. Their advanced cars drive on electricity and Xenon gas, resulting in crazy speeds. Get behind the wheel, keep your adrenaline in check and drift through the streets. Boost to absurd speeds and become the ultimate Xenon Racer! Food Truck Tycoon (Baltoro Games, €3.49 / £3.14, pre-order from 25/01/2019) - Test your skills and talent as the owner of a busy food truck! Your only job is to take orders, prepare food and serve to as many customers as possible. Be careful not to burn the food! Fulfil your dream of becoming the tycoon of the best food trucks in the city! Defense Grid 2 (Hidden Path Entertainment, €15.11 / £13.49, pre-order from 25/01/2019) - A horde of enemies is invading and stealing your cores, now it's up to you to stop them by strategically building towers at your base. The controls are intuitive, the gameplay is deep, and you’ll find yourself refining your strategies for hours on end. Tokyo School Life (Pqube, €13.49 / £11.69, pre-order from 25/01/2019) - Tokyo School Life is a heart-warming visual novel that allows you to experience a charming summer love story. As an exchange student freshly arrived in Tokyo, you'll make the acquaintances of Karin, Aoi, and Sakura; three girls with whom you will be spending your vacations. Learn about their quirks, Japanese culture and find your soulmate before the end of the summer! No ACA Neo Geo this week, despite several titles were announced and still have to be released. One week more we'll have to wait for Puzzle Bobble 2. I guess this is when America catches up with Europe though, because they've been behind for some time already. 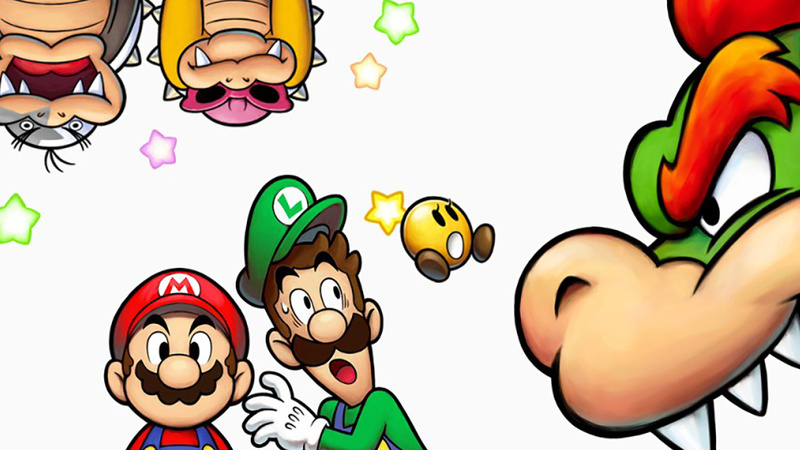 The only game i will buy this week is the retail version of Mario & Luigi: Bowsers Inside Story. I really wish the 3DS discounts would be much more interresting . It's always the same titles on discount and they all look so boring. @Moroboshi876 America has not behind Europe in terms of ACA Neo Geo releases. There was just a weird glitch in all the press release where they would always write the previous week release. As such, I was alway reading the Europe one to know what we would get this week for real in North America. I'm kinda sad to see nothing in Europe this week though. I hope this is just a glitch, because so far Hamster have not missed one week ever since the Switch release. I don't want to see them break the streak now. @Nagi_Nagisa Yeh, I know what you mean. The 3DS discounts in NA have been pretty good recently, which have included games from Atlus like Alliance Alive. Nothing for me for the Swtich releases this week, which is probably just as well as I may be distracted this weekend playing Resident Evil 2 Remake ^_^ now, if we could get confirmation of when Resi Evil 4 etc will land on the Switch I will be super happy! Opportunity to save money by not buying anything. Have other games to finish up first. Zombie Panic in Wonderland DX's price seems to be different on the eShop than what's shown here. It's 8.99€, at least here where I live. Lots of new Switch titles as ever, but I find it hard to get excited about them - reading the PR blurb about each one I find myself glazing over... 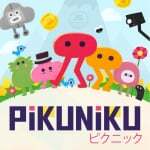 Probably I just don't know enough about the current indie games "scene" and am looking for recognisable established franchises that are not forthcoming. Just as well really as I really have a massive backlog needing addressed! @Moroboshi876 They actually haven't. NL just lists it that way. When are these Resi games coming to Switch? Really want to play 4. And here I bought Armello last year because I didn't expect it to go on sale. And stopped playing it pretty quickly because with the stupid multiplayer bug, I found myself focusing on supporting the player that was most likely to win in a way that didn't trigger the bug instead of playing properly. Say what you will about playing for fun but it's not really fun for me when the game makes me miss out on progress/rewards I should have earned. I was thinking of getting the upgrade after they fixed it... guess I can live with paying 4€ more whenever that happens. @Moroboshi876 My sentiments exactly. I've been eagerly been waiting for PB2 since the it was announced for the second to last batch of NeoGeo ACA games and at this rate I starting to doubt we'll ever see it released. Does anyone know how many NeoGeo games are left for Hamster to realistically publish anyway? Mutant Mudds and Xeodrifter sounds good for that price! @sikthvash The differences between special offers in different regions can be really annoying. Sometimes i see a news report like "tons of great Atlus 3DS games on sale", only to discover they're not discounted on the european eShop. I'm just happy the Switch got rid of the whole region lock nonsense. @Drac_Mazoku Good to know. Someone said there was a one week delay, but what you say makes sense. I'm afraid it's not a glitch. Hamster always announces its new releases on Twitter, and this week is all about Bomb Jack. It will be the first time they don't release a Neo Geo game since they started, yes. Bomb Jack is a classic. I'm glad that finally get to play that again. Joe and Mac appeals to me but I've only played the SNES version. Preordered Wargroove and that's it until Nintendo Direct I think. Asterix and Obelix XXL 2 is a fun game! Played it on PS2. I think it's overpriced on the Switch though. Even when it's on sale. 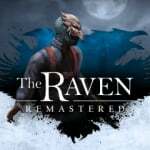 Now, if they had included the first game... 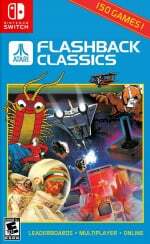 But why hasn't the first game been re-released anyway? I don't understand. I know which game French cops off from work are NOT gonna play: RIOT - Civil Unrest. Ooh, free RPG Maker DLC! Armello 50% off everybody. Highly recommended. Mutant Mudds collection for 2,59 is a really good deal. Already have it on the 3ds tho, so I'm not buying it again. I’ll just get the Bowser’s inside story remake.